THE row over the Union flag which began at Belfast City Hall has reached every corner of Northern Ireland. In Down District, Councillor Billy Walker has expressed his views to Down News over the recent flag issue. Although the street protests may have quietened around the North, there is still a burning debate going on inside and outside the Unionsist camp about the legitimacy of removing the Union flag from flying 365 days a year to 20 designated days. The decision by Belfast City Council to altar the symbolic presence of Ulster Britishness, the Union flag which flew at City Hall, has erupted into a full scale row which will linger on, possibly into local council chambers in the New Year and could even inflame the marching season in no solution is found. A debate is also due in Stormont on the issue in the new session. Rowallene Councillor Billy Walker comments on the flags issue. 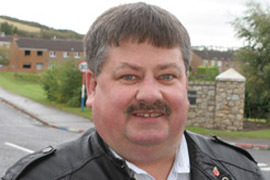 DUP Rowallene Councillor Billy Walker said: “Northern Ireland is part of the United Kingdom and we have to accept that. A number of government buildings and offices fly the Union flag on designated days. We don’t hear republicans and nationalists condemning this decision a the Belfast City Hall when they feel so strongly about their own Irish flag when they perceive an injustice there. They are crying only when it suits them. “The Union flag is the only legitimate flag that should be flown in Northern Ireland. The Tricolor is not the flag of this country, but having said that, when I visit down South I would respect their flag in the Republic of Ireland as it is their legitimate national flag. “Certain Elected representatives on Belfast City Council brought that problem to the Chamber in that Council knowing the outcome of Unionist and Loyalist reaction– the fingerprints of these decision-makers are all over this present crisis. “It was Sinn Féin, Alliance and the SDLP who pressed the button on this problem and the outcome was very predicatable. Let’s be clear about this, this flag crisis was not of a Unionist making. “I firmly believe that the Union flag should be flown in all public buildings. Every town and village should be flying the Union flag in protest – and when it is tattered it should be taken down and replaced by a fresh on. I just don’t know why people feel so offended. Members of the Orange Order Lecale District were met by the Chief Executive of Down District Council, John Dumigan, and officials and were given a tour around the new Down Civic Centre during a meet and greet your Unionist Councillor visit. 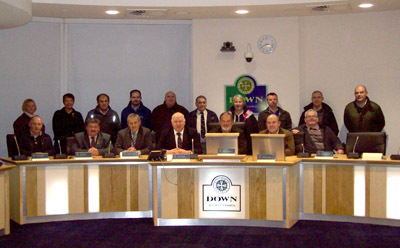 Representatives of the Lecale District Orange Order pictured with Unionist Councillors in the new Down Civic Centre chamber. Inlcuded is senior Orange Order official Andrew Carlisle from Spa. Councillor Billy Walker said that the Councillors had explained that this was their building too and that they should avail of the services it provides and the help available from all of their Unionist Councillors. 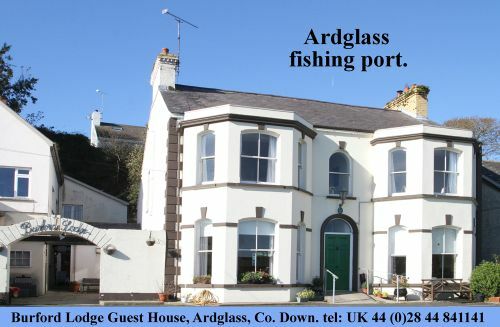 He said: “I encouraged them to avail of the help from our Council officers who might be able to help them tap into different strands of funding and assistance for their festivals and events. There was disappointment last year when the Royal Black Institution did not receive support for a community focused event last August.